Berlin: German Chancellor Angela Merkel’s coal commission will propose quitting the dirtiest fossil fuel in two decades, the latest step in the country’s tumultuous transition to renewable energy. The commission, appointed by Merkel to set a road map for Germany’s exit from coal, recommends the nation should quit coal by 2038 at the latest, with an earlier exit dependent on construction of renewable-energy infrastructure, according to a statement. Regions impacted by the closures should receive €40 billion (Dh167 billion or $45.6 billion) to help with the transition, the commission said. “These recommendations, if adopted, will ensure Germany meets is 2030 climate goals,” senior commission member Barbara Praetorius told reporters in Berlin on Saturday. While renewable energy sources dethroned coal’s dominance of the country’s power mix last year, Germany’s 120-odd coal plants still generated almost 40 per cent of the country’s power last year. The country’s total coal capacity is around 45GW. 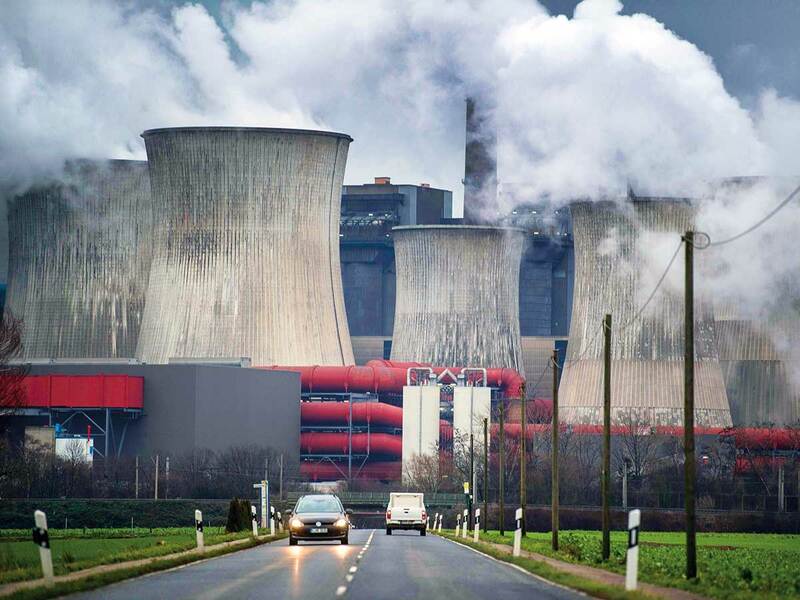 Plant closures will take place gradually and impacted regions will receive a combined 40 billion euros ($46 billion) in payments from the federal government to make the transition easier, Deutsche Presse Agentur reported Saturday. Environmentalist group Greenpeace, a member of the commission, said the proposals include a pledge to preserve the remainder of Hambach forest — woodlands that utility RWE wants to cut down to continue mining coal there. Chief Executive Officer Rolf Martin Schmitz has previously warned stopping mining the site would cost up to 5 billion euros. RWE did not immediately respond to a request for comment. The proposals, which follow a year of deliberation and lapsed publication deadlines, will be released officially on February 1. Negotiations between the government and power companies will decide which plants will be closed first, with compensation to be paid for prematurely-closed coal facilities.